The file you upload to HSHSL's Poster Printing Service must be a PDF. 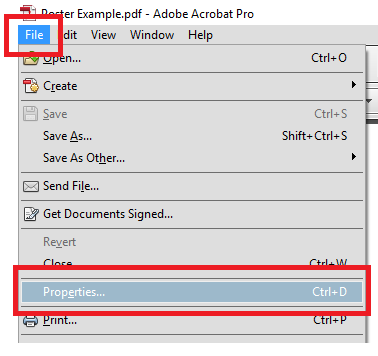 You can save your file in PowerPoint as a PDF; however, we recommend checking the file in Adobe Acrobat to ensure the dimensions of your poster were maintained in the saving process. 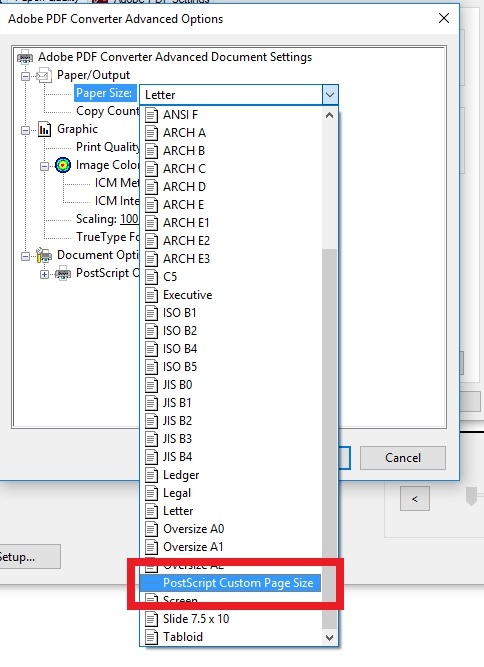 Follow the steps below for steps on how to check the dimensions of your file. 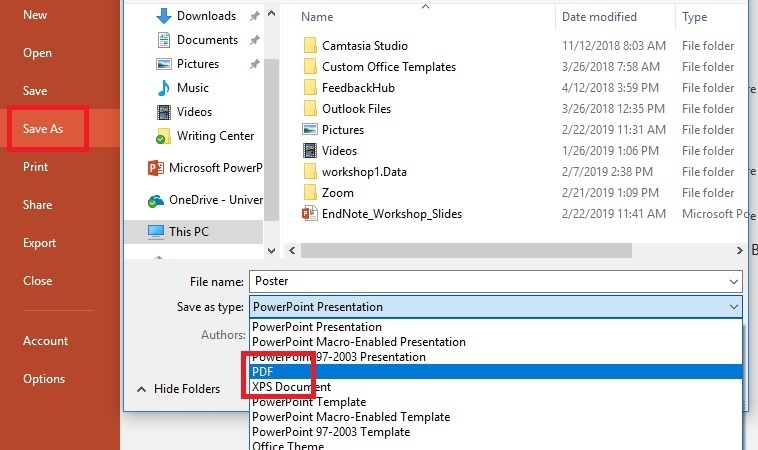 In PowerPoint, click File then Save As. *These instructions are for a PC. If you do not have a PC and need assistance saving your poster, please come to the library and use our computers. You will need Adobe Acrobat to complete these steps. (If you do not have Adobe Acrobat, you can come to the library where Adobe Acrobat is installed on computers.) 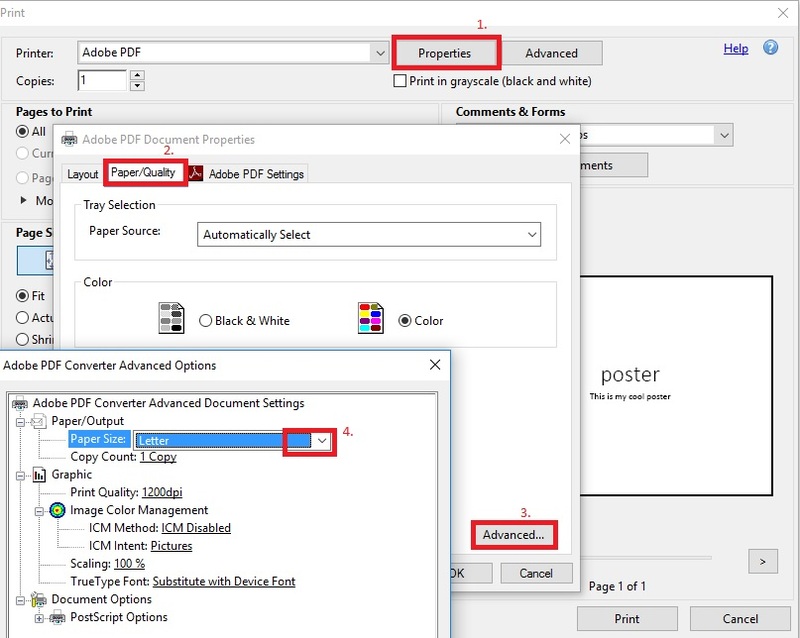 Open your file in Adobe Acrobat to ensure your poster dimensions are correct. 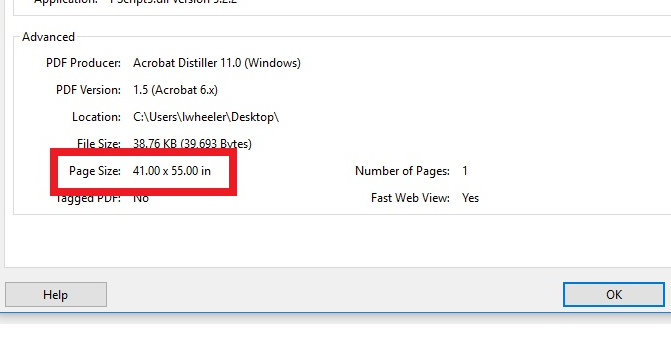 In the Properties box look at the page size. If the size is correct you are finished. Your PDF is ready for uploading to HSHSL's Poster Printing Service. 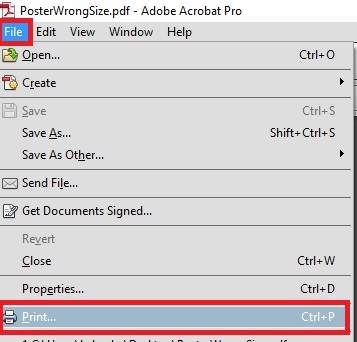 If the size is incorrect, follow the steps below or watch this video to help you save the correct poster size. 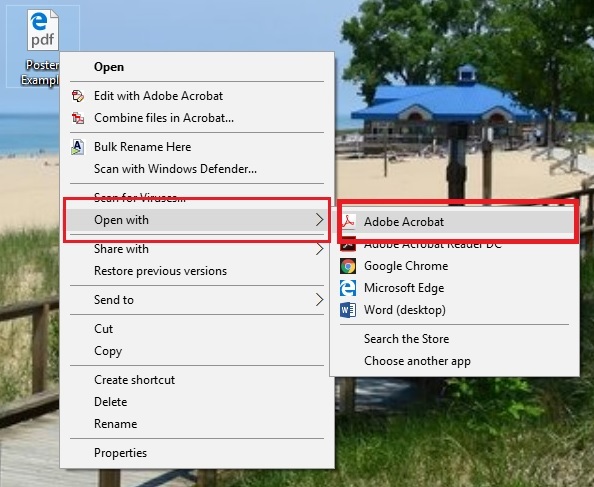 With your document open in Adobe Acrobat, click File then Print (The Library has Adobe Acrobat for you to use if you do not have it installed on your own computer). 4. 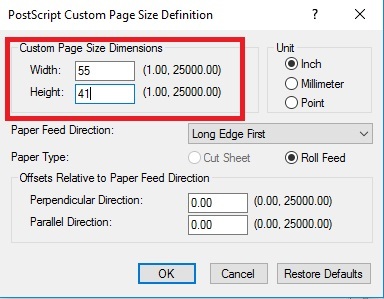 Type the dimensions you would like your poster to be in the Custom Page Size Dimensions area. 5. Click OK on each dialog box until you get to the Print dialog box. Click Print and you will be prompted to name and save your file. 6. You can now submit your file to HSHSL's Poster Printing Service.